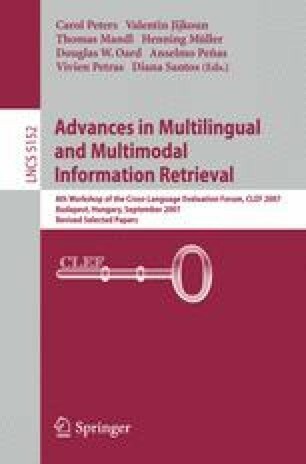 This paper accounts for Priberam’s participation in the monolingual question answering (QA) track of CLEF 2007. In previous participations, Priberam’s QA system obtained encouraging results both in monolingual and cross-language tasks. This year we endowed the system with syntactical processing, in order to capture the syntactic structure of the question. The main goal was to obtain a more tuned question categorisation and consequently a more precise answer extraction. Besides this, we provided our system with the ability to handle topic-related questions and to use encyclopaedic sources like Wikipedia. The paper provides a description of the improvements made in the system, followed by the discussion of the results obtained in Portuguese and Spanish monolingual runs.